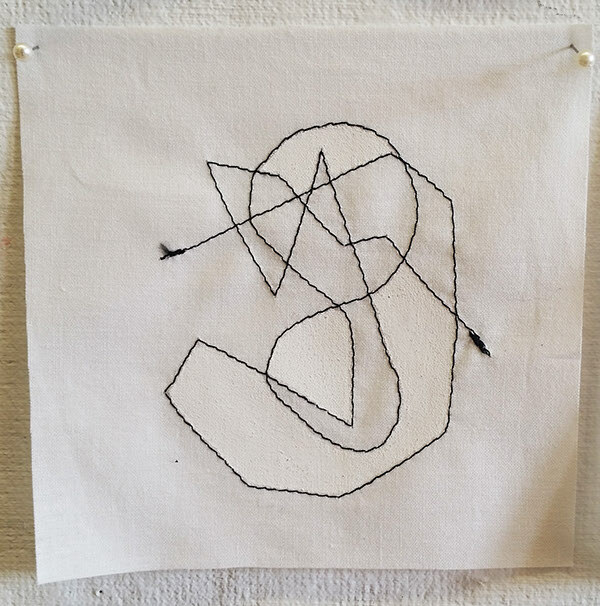 I created this piece in response to an open final assignment in my Intro to Fibers class in the Spring 2015 semester. 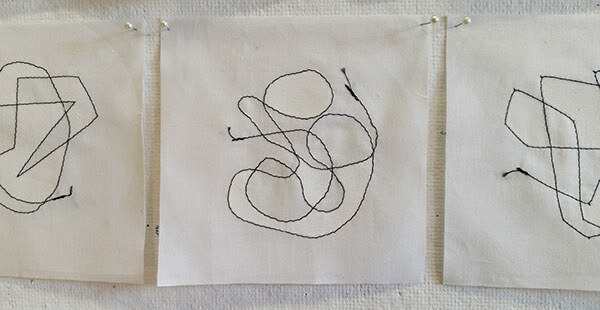 Using a sewing machine to embroider small 5" x 5" pieces of muslin, I created abstract shapes based on a reaction to everyday of the assignment's duration: 32 Days. I then painted in three of the created shapes per each piece with gesso until it reached opaque coverage. Even spacing and simple arrangement in the piece is meant to reference the grid of a calendar and systematic passing of days. 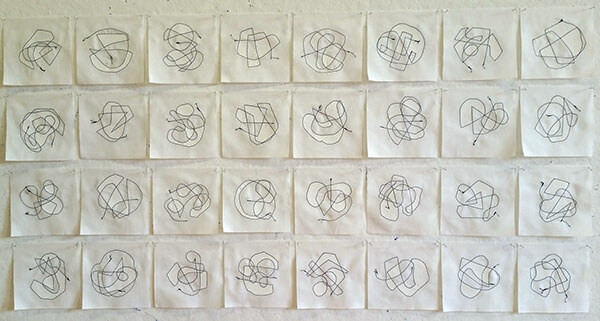 The daily making was used as a means of regular reflection through the meditative repetition of process.